have you had an answer to prayer? i asked that question in my newspaper column, but i did not expect the number of replies i got. in fact, it took me about a week to read them all. as i read the many letters i received, i was first impressed by the fact that "GOD is no respecter of persons. "some replies came on the letterheads of prominent businessmen, others on the cheapest tablet paper, written with pencil. some of the letters were from people who gave the impression of being well educated and cultured, others were from people who could express themselves only with great difficulty. through some of the letters there were revealed qualities of a saintly life which has been lived close to God; others told me of how they had sinned and were ashamed of their lives. but when it comes to prayer, WE ALL STAND ON EQUAL GROUND AND EACH HAS THE RIGHT TO ACCESS TO THE FATHER. the learned and the unlearned, the rich and the poor, the saint and the sinner, all stand in need before God; and when in prayer they carry that need to God, He answers. Jesus said, "For everyone that asketh recevieth,..." (Matthew 7:8), and when He said "every one" HE meant just that. also, i was deeply impressed with the complete sincerity of those who wrote me. 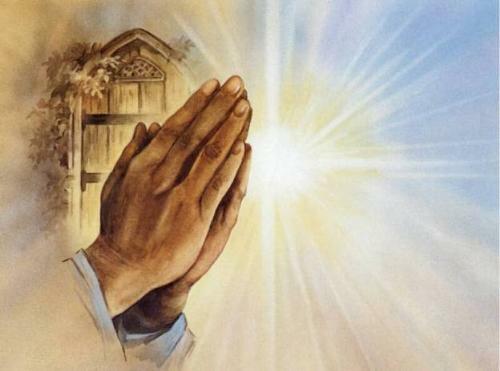 in belittling prayer,some claim that so called-answeres are mere coincidence, that the prayer made no difference; but many, many people believe that prayer is what did make the difference. and it is awfully hard to argue with one who has prayed and to whom the answer has come. Money is one of many things God will not give, regardless how good you can pray. If you notice not even the church pray for money, they just simple send the collection plate around. jinbautista,I agree with you, we have everything to be able to provide for ourselves. This brings me to question what prayers are used for?. I have no problem if it is used to praise and thank God but you can't pray to be a doctor, a lawyer or anything prominent without working hard. Getting up every day praying and begging God won't help you. As a matter of fact, I don't think He cares what you want to do with yourself, you are on your own. Jesus said that pray for anything in His name and the father will give, but, it is not that easy. Something is missing, it seems as if only the rich is benefiting and I am not sure any prayer is involved. If he had said what He meant or should I say if the inspired writer knew what He meant there wouldn't be any need for a councilor.